← Will data linking open defecation to undernutrition force change? Children and women of childbearing age, who account for nearly two-thirds of the exposed population, are the most vulnerable as lead and cadmium harm brain development in children and may cause mild mental retardation. The researchers estimate that there are a further 5,000 toxic waste sites in the three studied countries. With around 7,000 people on average living near each, this means that an additional 35 million people are exposed to these contaminants, they say. The researchers say the data can help in drawing up and implementing public health policies to cut people’s exposure to these pollutants and remove contaminants that have entered the soil or groundwater. 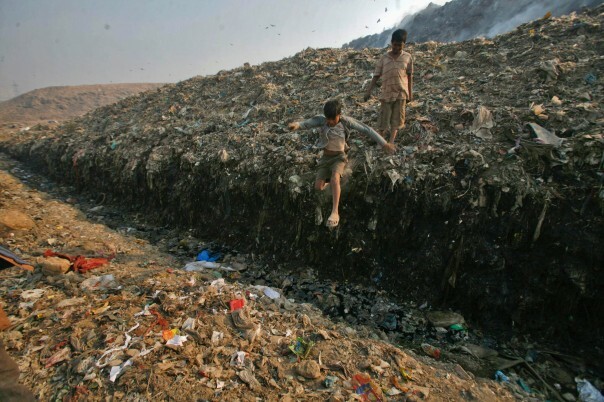 According to study leader Kevin Chatham-Stephens, paediatric environmental health fellow at the Icahn School of Medicine at Mount Sinai, United States, the researchers used data from a global programme run by the Blacksmith Institute, an international non­profit organisation dedicated to solving pollution problems in developing nations, to identify waste sites in such countries. They then assessed the likely health impact of exposure to pollutants from these sites. “We focused on only one chemical per site and then estimated the amount of disease that would occur given the level of the chemical in the environment. We converted this incidence of disease into disability adjusted life years, which is a metric that attempts to incorporate both the disease and deaths associated with a disease,” Chatham-Stephens tells SciDev.Net. Beau Baconguis, Philippines programme manager at environmental campaigning organisation Greenpeace Southeast Asia, says that exposure to toxic waste sites is a serious health concern that policymakers and industries need to address. One way to do this, Baconguis says, is for governments to require companies to disclose what toxic chemicals they use. The firms should then be obliged to look for safer alternatives. Red Constantino, executive director of climate policy think-tank the Institute for Climate and Sustainable Cities, Philippines, believes the study is a wake-up call for policy planners in emerging economies to rethink their idea of economic development. The paper was published last month (4 May) in Environmental Health Perspectives. This entry was posted in Sanitation and Health and tagged air pollution, India, Philippines, Toxic waste. Bookmark the permalink.